Additional Info: Parking is within approximately 25 yards/meters. £50 or 10% deposit whichever is the greater, on booking. Non-refundable.The balance to be paid 8 weeks prior to the start date of the holiday or break. £25 charge per week for a pet. 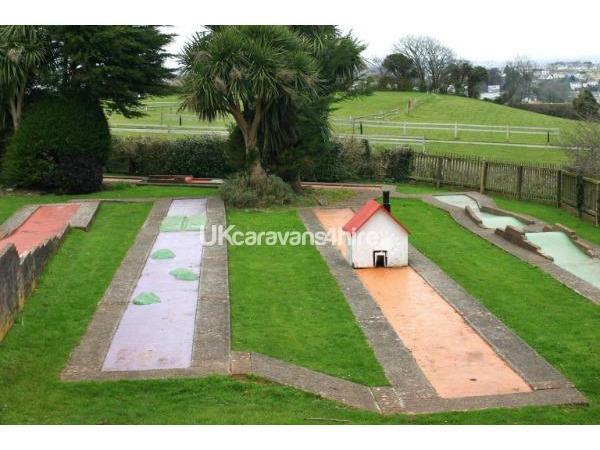 This caravan for hire is located at South Bay Holiday Park, in Brixham, Devon. 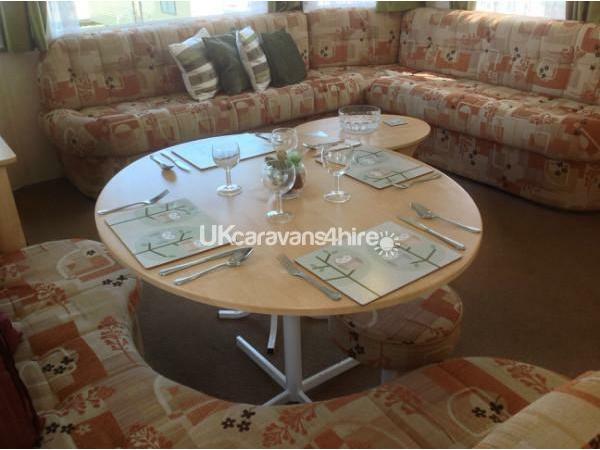 A 'Silver' grade caravan which has 3 bedrooms and a sofa bed in the lounge. There is a lovely spacious lounge and dining area with a view across the bay and the sea. The lounge has a flat screen TV and DVD player, plenty of seating, and is open plan with the dining area and the kitchen. The kitchen has a full sized cooker plus a microwave, toaster and kettle plus all the utensils you need to cook just as you would at home. However, why not indulge yourself and give the 'cook' a rest by visiting one of the many, excellent value, cafe's, restaurants or eateries in the local area. There is even a takeaway/eat in on the Park! The 3 bedrooms consist of 1 double, and 2 twins, all with wardrobes. There is a shower room with a thermostatic shower and toilet. Bed linen hire is included in the cost, but please bring your own towels! 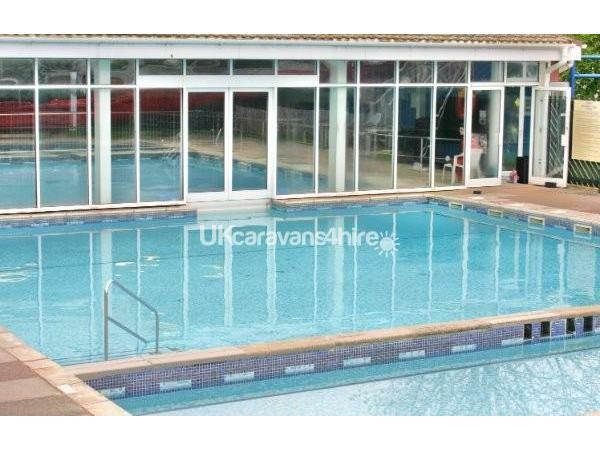 This caravan for hire is also close to all the main facilities of South Bay Holiday Park including the Indoor/Outdoor heated swimming pool, Reception, the Shop, the childrens playgrounds, crazy golf, and the main Clubhouse and Bar, where you will also find the kid's 'Foxy' Club and entertainment for all the family. Use of all these facilities is included in the cost of the hire. 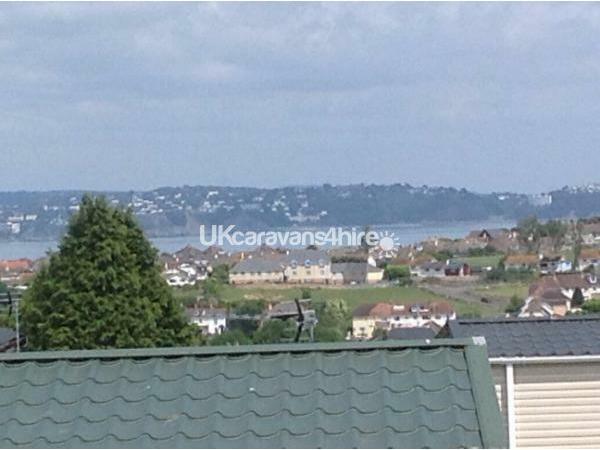 Our other caravans for hire at South Bay are under refs: 3184,2397,1215, 1640,2460,3666,2368 and 3270. 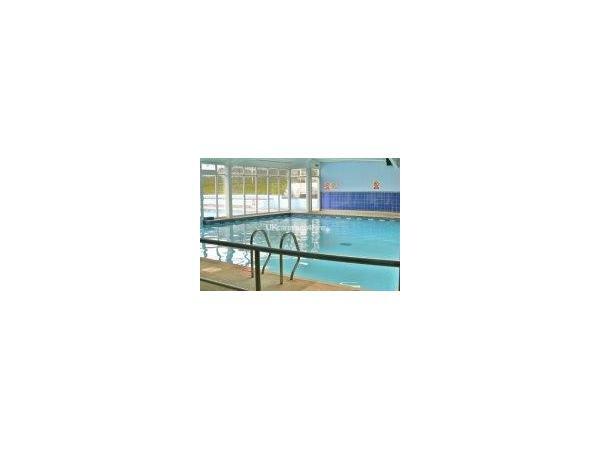 South Bay Holiday Park is sited on a lovely scenic part of Brixham and overlooks Torbay, which is a large bay, with Brixham, Paignton and Torquay as it's main towns. 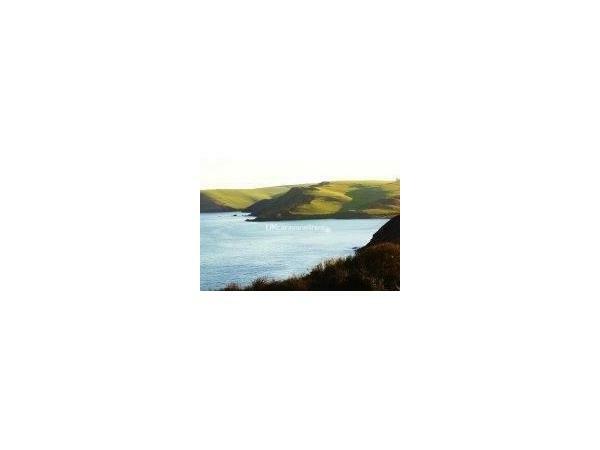 There are lovely walks from the Park along country paths and National Trust trails which give some superb views across the sea and along the coast. The closest beach is St Marys Bay which is a large natural cove with a sandy and pebble beach and rock pools. It is about a 15 minute walk from the Park via some steep steps, but well worth it if you are mobile! If you prefer a beach with modern facilities then you should visit Goodrington, Broadsands,or Paignton beaches which are all within a short driving distance. Brixham is a fishing town and has a lovely picturesque harbour where you can stroll or sit and eat or drink at one of the many cafes and restaurants, visit the 'Golden Hind ship, go 'crabbing' along the quay or join in the fun on 'Pirates Day' (in season). There is a local bus from just outside the Park which goes into Brixham or it's about a 20 minute walk (uphill in parts on the way back!) or a short car ride. Paignton is a typical British seaside town with a beach, pier and amusements. It also has many great places to eat and a good sized shopping area. Paignton is also the home of the Steam Train for journeys to Dartmouth. 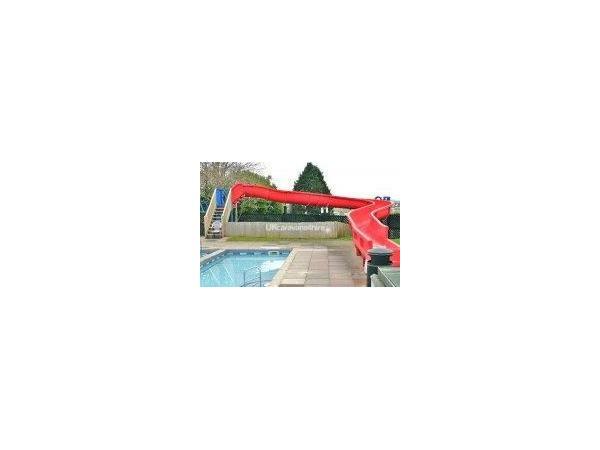 There is also a lot that the family will enjoy in Paignton. Torquay is the furthest from South Bay Holiday Park, about 6 miles by road or just under 4 miles if you take the Ferry from Brixham across the bay (£3.00 per person return, a 30minute trip across the Bay) an absolute bargain! Torquay is a cosmopolitan town with some tourist attractions but also many high street shops, or visit the penguins, play 10-pin Bowling or eat at one of the many choices of places. Torbay and Devon have many fantastic things to do and places to see. Don't forget to visit the lovely Dartmouth whilst you are at South Bay - it's not to be missed. Take the car, steam train, ferry or bus. Once there you can enjoy the views, take a trip on the river or enjoy the lovely town and parks. This caravan will be pet friendly from March 2018. Additional Info: Membership/Facilities Passes included in the Hire cost.